This past weekend was spent mostly canning, but that doesn’t mean there weren’t some beautiful and tasty desserts rolling out of the Cinful kitchen. I did some cupcakes for a baby shower along with a cake and a tower of other cupcakes. 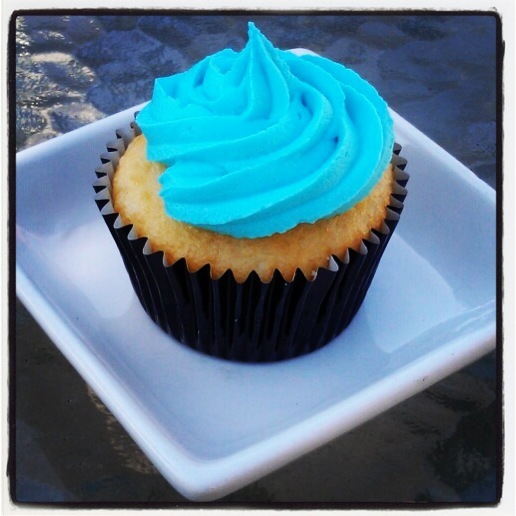 The special cupcake of the day was french vanilla, filled with strawberry puree and topped with a strawberry buttercream. Isn’t it just so pretty? The cake topping the tower of cupcakes was the same as the cupcake: french vanilla stuffed with strawberry puree, topped with strawberry buttercream. On the tower of cupcakes, there were six different types of cupcakes, many of which should be familiar: raspberry with lemonade, raspberry mango, banana caramel, banana vanilla, champagne strawberry, and champagne orange oil. 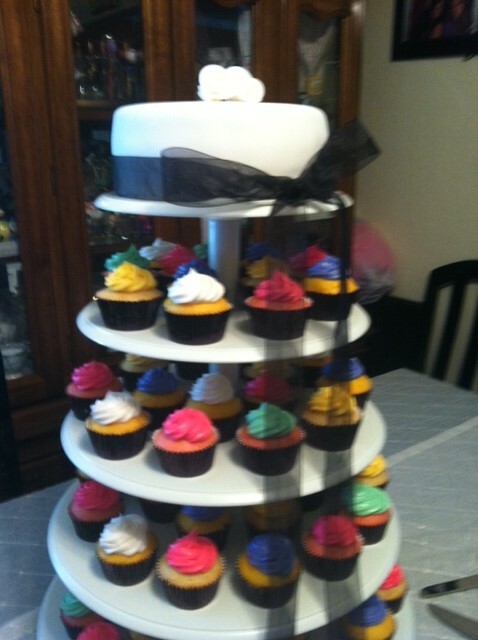 Behold, the tower of cupcakes! Coming up next is a wedding I did a few things for. I know, I know, first come love, then comes marriage, then comes the baby but you know, here on Cinful, sometimes we just like to do things our own way. Come back and check out the beauties I’ll be pumping out next time.